I don’t have enough blah, blah, blah. The idea of “not enough” plagues us all. Whether it’s that we’re not skinny enough, smart enough, rich enough, talented enough, etc., if we don’t remain present and aware, it’s so easy to fall into that mindset. And when it comes to our money and feeling like we are living a financially fulfilled life, watching our thoughts about “enoughness” is key. Whether you are rich or poor, choosing to feel abundance in your financial life is an inside-out job. I’ve seen lots of people with lots of money still feel it’s not enough. The truth is, it doesn’t matter how much you have. People with tons of money sometimes feel the “not enough” complex the most. That’s because the mentality of not having enough is one that’s been around long before we got here, and will continue even when we’re gone. Think like a squirrel: Save some for later. Stay away from naysayers–surround yourself with people who choose the happiness and abundance mentality, too. Believe. 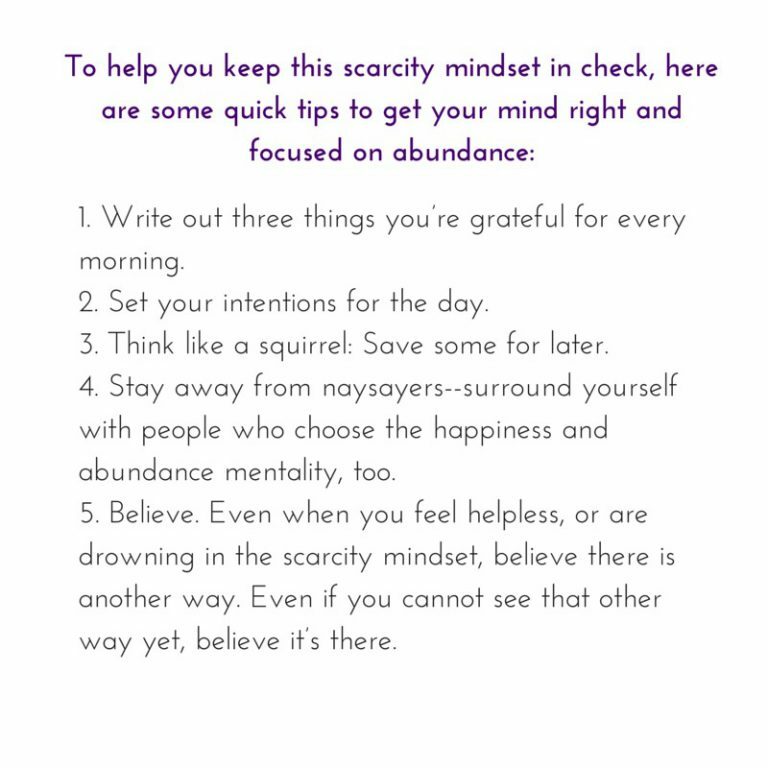 Even when you feel helpless, or are drowning in the scarcity mindset, believe there is another way. Even if you cannot see that other way yet, believe it’s there. Do you know a friend who needs to know these tips too? Send them the gift of abundance this holiday season and forward this blog to her. It’s important we all unite on our financial journeys and support one another as we tackle our short-term and long-term financial goals. Don’t wait for the perfect moment to start. NOW is the “perfect” moment. 0 responses on "Featured Blog: “I Don’t Have Enough Money”."